UPDATED: Implementing outcomes-based funding for universities and requiring public institutions to give college credit for scores of 3 or higher on AP exams were among the higher ed proposals laid out by Greg Abbott on Tuesday. 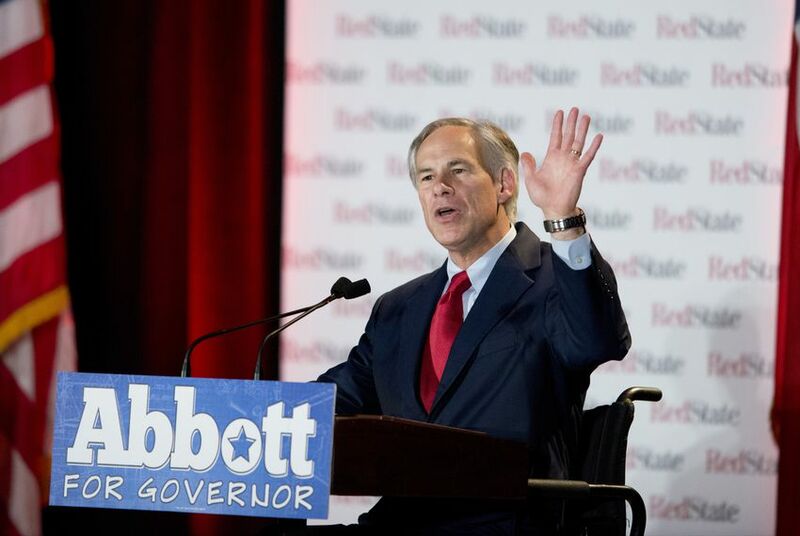 Implementing outcomes-based funding for universities, establishing block scheduling at community colleges and requiring all public institutions to give college credit for scores of 3 or higher on AP exams were among the proposals included in the higher education plan laid out by Republican gubernatorial candidate Greg Abbott on Tuesday. Abbott unveiled his plan, which also included a call for expanding online education options and ensuring that students are granted college credit for completing online courses, at an event at the University of Texas at Dallas. Some of the ideas are familiar. Gov. Rick Perry and other policymakers have for years pushed for the Legislature to tie a portion of universities' state funding to performance measures such as graduation, but so far have not been successful in getting such a plan approved. Like Abbott did in his plan, Wendy Davis, a Democrat from Fort Worth and his chief rival, has also called for supporting the effort to create more "tier one" public universities in Texas. On Tuesday, Abbott was more specific about how he'd provide that support. He said he would push for an additional $40 million to go to the Texas Competitive Knowledge Fund, which was created in 2007 for the purpose of supporting faculty and incentivizing research at certain institutions. Abbott framed his call for block scheduling at two-year institutions as a way to help students better balance work and school. "Students can take their classes in blocks of time — morning, afternoon or evening blocks — so they will have more time available to work," he said. Abbott also called on the Legislature to provide funding to cover the cost Texas higher ed institutions incur by providing tuition exemptions for military veterans and their family members. Republican gubernatorial candidate Greg Abbott will call for students to receive college credit for taking massive open online courses — often referred to as "MOOCs" — as part of the higher education plan he unveils on Tuesday, sources with knowledge of his plans say. Abbott is scheduled to lay out his higher education plan in an afternoon speech at the University of Texas at Dallas. MOOCs are online courses with unlimited enrollment that anyone — regardless of whether they are enrolled at a university — can sign up for and take for free. Right now, the courses rarely earn students college credit. Abbott intends to make the case that to improve flexibility and affordability in higher education, credit should be offered for completing such courses. The University of Texas System offers MOOCs through a provider called edX, a nonprofit online venture founded in 2012 by Harvard University and the Massachusetts Institute of Technology. The UT System also invested $5 million in the company that same year. Rice University and the University of Houston System offer courses through Coursera, which is a for-profit competitor. Rice also offers courses through edX. Thus far, none of the MOOCs provided by the UT System have been created at the Dallas campus, where Abbott is unveiling his plan. The University of Texas at Austin has developed nine such courses, and the University of Texas at Arlington has one that is slated to begin in October. In 2013, when UT-Austin announced the courses it planned to provide through edX, Harrison Keller, that university's vice president for higher education policy and research, said, "At this point, we're not planning to use the first nine MOOCs as credit-bearing courses, but as these issues get worked through, it would be terrific if we could figure out ways to use the platform for credit-bearing courses." However, MOOCs are a bit of a touchy subject in academia. After making a big splash early on, they have been the subject of a significant amount of criticism, particularly for seeing low completion rates. Last year, for example, a MOOC called "Energy 101" run by UT-Austin professor Michael Webber had 38,000 participants, but just 5,000 completed the course. Compared to most MOOCs, that 13 percent completion rate was on the high end. Abbott's Democratic opponent, state Sen. Wendy Davis of Fort Worth, has already unveiled her higher education policy proposals. Her plan makes no mention of MOOCs. Her proposals pertaining to affordability include providing more funding to the state's main grant program for low-income students, expanding access to a state loan program designed to encourage timely graduation and establishing a sales tax exemption on textbooks. Disclosure: The University of Texas at Austin, the University of Texas at Dallas, the University of Texas at Arlington and Rice University are corporate sponsors of The Texas Tribune. A complete list of Texas Tribune donors and sponsors can be viewed here.